Since getting my Adana 8 x 5 I’ve been accumulating bits and bobs of kit. You don’t quite realise some of the things you might need to be able to do projects. Type obviously. But also hand rollers, inks, glass to pre roll ink, cleaning kits, spacing stuff, paper and so on and on. Hopefully soon I’ll do a list of where to find….. 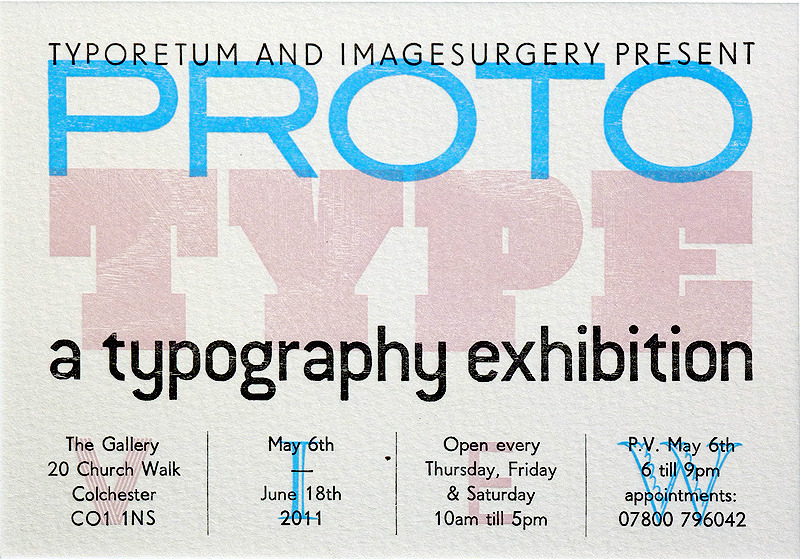 I spotted this upcoming exhibition on Twitter and I’m hoping to go along, particularly as I want to find out about the bespoke laser cut blocks they’ve used, sounds like an interesting new approach to wooden letterpress. Anyone fancy a trip to Colchester to see it ? Back in early December I posted about a letterpress card I’d bought. And about how I was rather taken with the idea of getting a small letterpress machine. Am am *so* excited…can’t wait to get going.